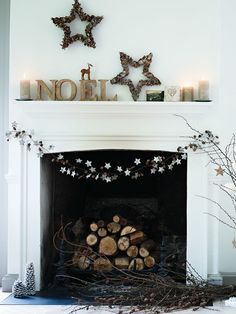 Photo Credit This mantelpiece is simply decorated just with candles, the stars and a string of lights. I particularly like the asymmetrical touch with the different candlesticks at each end. It makes it more informal while still dressing the room beautifully. Photo Credit This mantelpiece has been decorated in a much more formal way using symmetrical balance. The candlesticks and lanterns on each side are a mirror image of the other side. Not only is it tasteful but it shows an attention to detail and love of organisation. Minimising the colour palette to silver, white, green and red too ensures that the decorations aren’t overwhelming and each one can be appreciated for its simplicity and style. 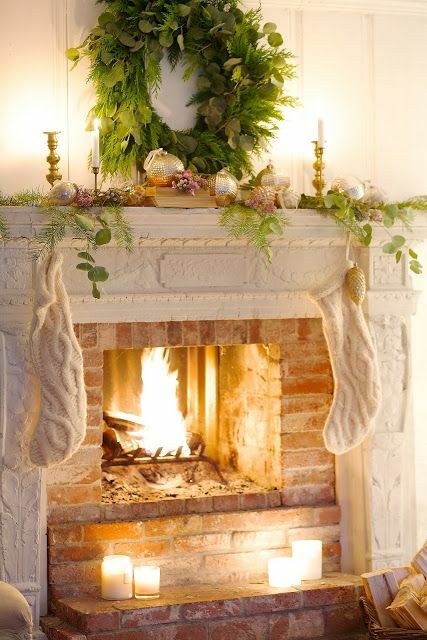 Photo Credit Simple greenery clippings, a green wreath, monotone knitted stocking, flickering flames, candlelight and a few baubles to add more festive spirit. 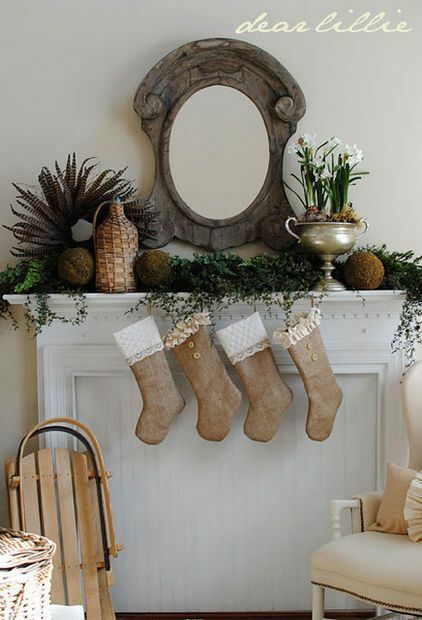 What more would you want for a country cottage style Christmas mantelpiece? 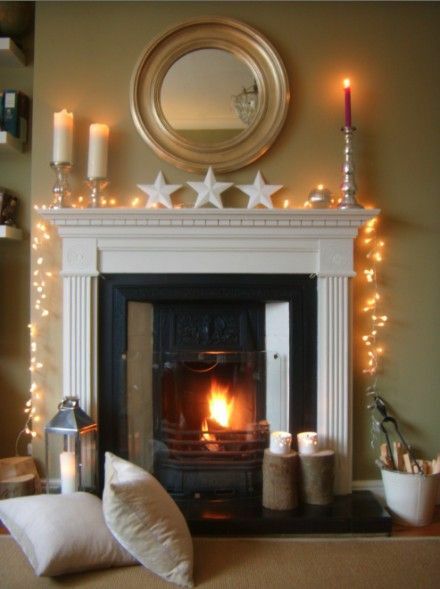 Photo Credit If you prefer a pared-down simple look for your Christmas decorating, a Scandinavian inspired mantelpiece is the answer. A sense of space, natural hues against a plain background and some logs set the scene for celebrating the simple things in life over the festive period. Photo Credit Decades ago, greenery provided the bulk of the Christmas decorating. Many houses were only decorated on 23rd or 24th of December with offcuts from the Christmas tree, ivy, holly and pine cones. 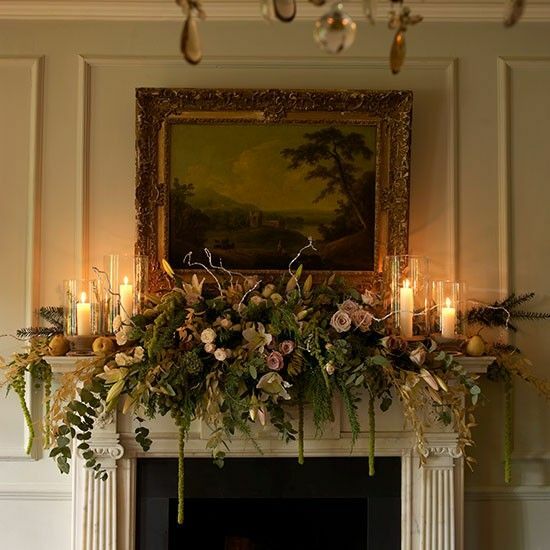 A mantelpiece decorated with an elaborate arrangement like the one above is both traditional and exuberant. 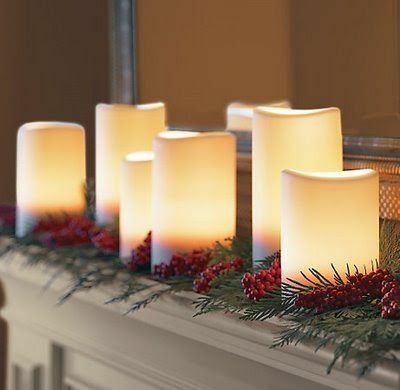 Photo Credit A mantelpiece decorated simply with white candles is beautiful. If adding greenery around their bases, be careful of the risk of fire as if hot wax falls or the candles burn down, the greenery might ignite. 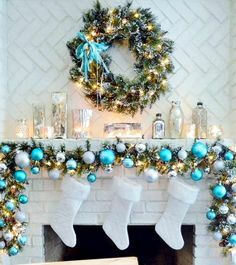 Photo Credit Red and green are probably a more popular colour combination for Christmas decorating but a blue and gold colour combination is glamourous, opulent and different. 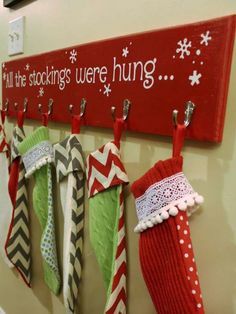 Hanging the Christmas stockings by the mantelpiece builds excitement for the big night as well as serving as decorations. Monotone stockings in neutral tones will be timeless. I love the variety in subtle decorating on each of these. 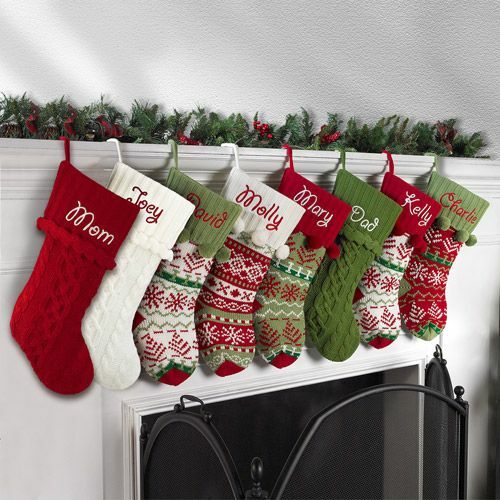 Personalized Christmas stockings in the traditional colours of reds, greens and whites means that they remain firm favourites for many years. 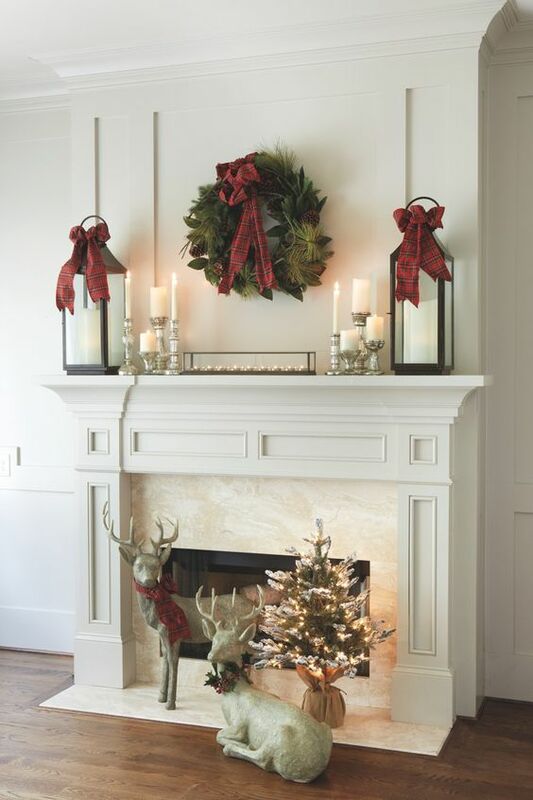 And if you are concerned about the stockings being a fire risk at the mantelpiece, or if you don’t have a mantelpiece or anywhere to hang the stockings, a specialized ‘coat rack’ will do the job perfectly. We hope these have given you some inspiration and wish you a very merry Christmas. 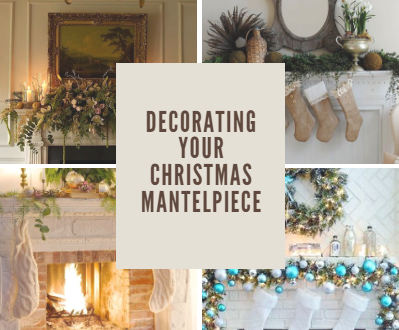 This entry was posted in Christmas Decorating and tagged christmas decorating, christmas decorating tips, Christmas mantelpiece, how to decorate your mantelpiece for Christmas. Bookmark the permalink.